 Mouse anti Human CD44v7/8 antibody, clone VFF-17 specifically recognizes an epitope encoded by exons v7-v8 on the variant portion of human CD44. Wibulswas, A. et al. (2000) The CD44v7/8 epitope as a target to restrain proliferation of fibroblast-like synoviocytes in rheumatoid arthritis. Am J Pathol. 157 (6): 2037-44. Alam, T.N. et al. (2004) Differential expression of CD44 during human prostate epithelial cell differentiation. J Histochem Cytochem. 52: 1083-90. Hanley, W.D. et al. (2006) Variant isoforms of CD44 are P- and L-selectin ligands on colon carcinoma cells. Rajarajan, A. et al. (2012) CD44 expression in oro-pharyngeal carcinoma tissues and cell lines. Bauer, S. et al. (2006) Fibroblast activation protein is expressed by rheumatoid myofibroblast-like synoviocytes. Arthritis Res Ther. 8: R171. Shirure, V.S. et al. (2015) CD44 variant isoforms expressed by breast cancer cells are functional E-selectin ligands under flow conditions. Am J Physiol Cell Physiol. 308 (1): C68-78.